Rappeneau's version of Rostand's theatrical warhorse never puts a foot wrong. 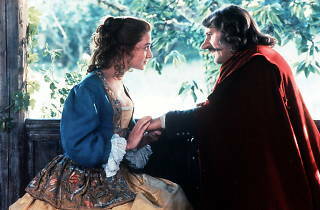 Much of the credit goes to Depardieu, perfect as the 17th century Gascon swordsman and braggart whose unsightly nose prevents him from confessing his love for his cousin Roxane. The text, cut, reworked and still in alexandrine verse, exudes all the grace and pace of a deftly orchestrated rondo (admirably served by Anthony Burgess' English subtitling), and this almost musical sense of meaning reinforced by rhythm extends throughout: the camera swoops at moments of ebullience, the performers' gestures, movements and delivery of lines seem almost choreographed. 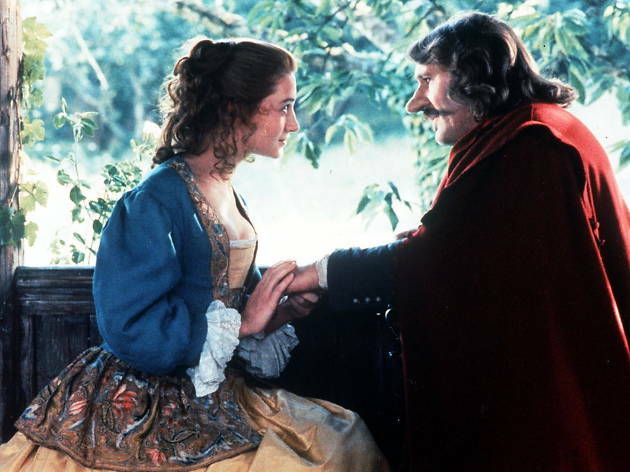 Everything has been fleshed out to its full potential; the entire scale of the piece, too, is augmented, so that landscapes, sets, battles and countless extras reflect the enormity of the poet Cyrano's unspoken torment. Rappeneau's movie-making demonstrates an unshowy confidence in itself and its subject that is wholly justifiable.